You now have immediate access to "Master Copy!" 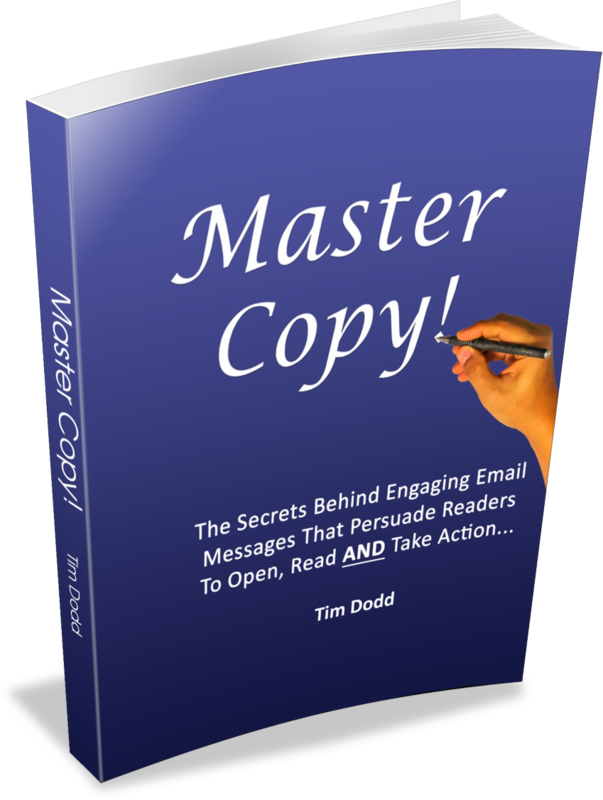 Although it's only short, this little book reveals many of the secrets the world's top copywriters use to write engaging email messages that persuade readers to open, read AND take a desired action! If you know that you could be using email more effectively within your business, download the book right away and start including a few of the many ideas you'll find inside in the next email you write. Enjoy!